Because there is more to do in Miami than going to the clubs every day. Sunny beaches. Cold drinks in hand. Late-life nightclubs. Colorful buildings. All things associated with the vibrant, Hispanic-driven Miami. 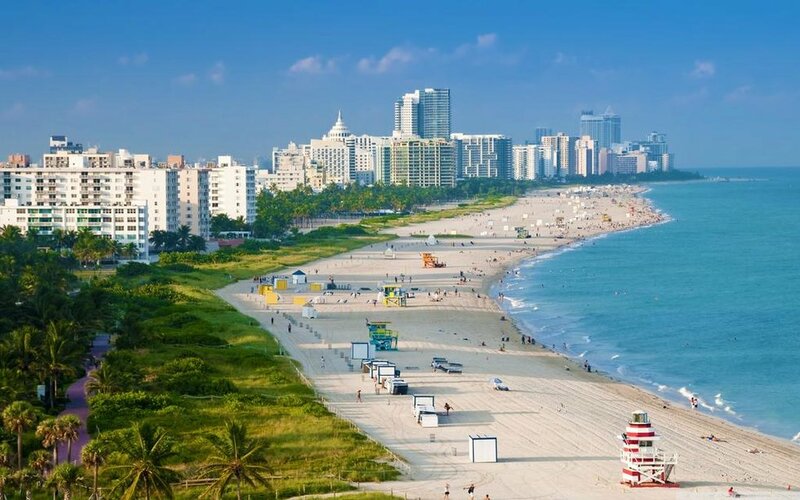 Whether you're heading down for Spring Break, in need of a weekend getaway, or you're planning a family trip, here is a list of 7 things to do in Miami when money is a little tight. 1. You guessed it... lay on the beach. What a no-brainer. But if you're like me, you associate South Florida with beaches, and I intended to spend my every waking hour laying outside catching the sun. And if you're always like me, you may get a little burnt so be sure to wear your sunscreen. South Beach is always a staple and not terribly busy during weekdays. So make sure you grab your towel, pack some waters, and head down to the beach! Whenever you're not at the beach or you have an hour to spare in between activities, head down to your hotel or Airbnb pool. The great thing about them is they are likely heated or at least have a hot tub tool if the Miami is a little chillier than you expected (like me). 3. 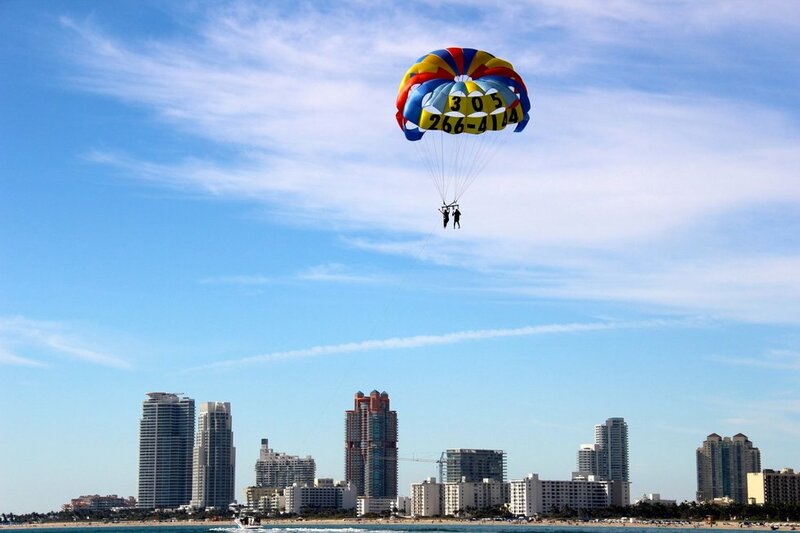 Do a Groupon activity like Jet Skiing or parasailing. Activities, especially those to be enjoyed outside and on the water, can run a little pricey. Jet Skiing can be over $100 per hour and forget about going parasailing...usually. Download Groupon and check the deals in the area so you can save some money to be spent on other activities. Activities can be up to 75% off, but make sure you check out the reviews so you know if it's sketchy or even worth it. 4. Walk around Aventura Mall on a rainy day. As much as we wish every day can be sunny and a warm 85 degrees, it just doesn't always work out that way. When the weather gets a little rainy, head to Aventura Mall and hit up all the shops. Even if you are just doing some window shopping, there are some really cool stores to see and the food court actually has some good restaurants. 5. Wynwood Walls is a MUST see. I always heard about Wynwood Walls, but I had no idea what in the world they were until my friends and I made the drive to check them out. If you do too, you will NOT be disappointed in the slightest. The walls are decorated in the most beautiful, colorfully unique murals of all styles. As you walk around, check out the little shops and support some local businesses. 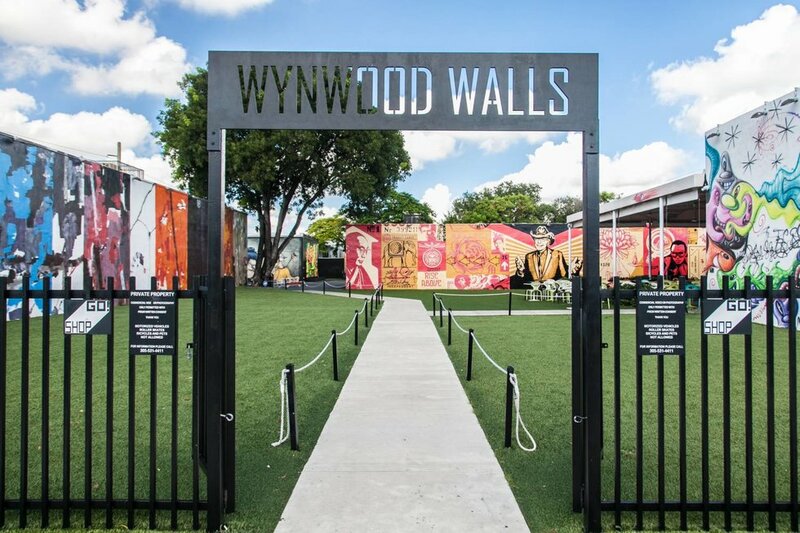 Wynwood Walls is a classic tale of gentrification, but at least it's a pretty one, so make sure you give back to the community. 6. Window shop the Miami stores. If you're balling on a budget, don't be afraid to check out the shops and put some products on your radar. It isn't the most exciting to surround yourself with clothes you want to buy but can't, and it can be tempting to spend the rest of your money on that pair of sandals that you just gotta have, but there are a lot of shops that are just cool to see. 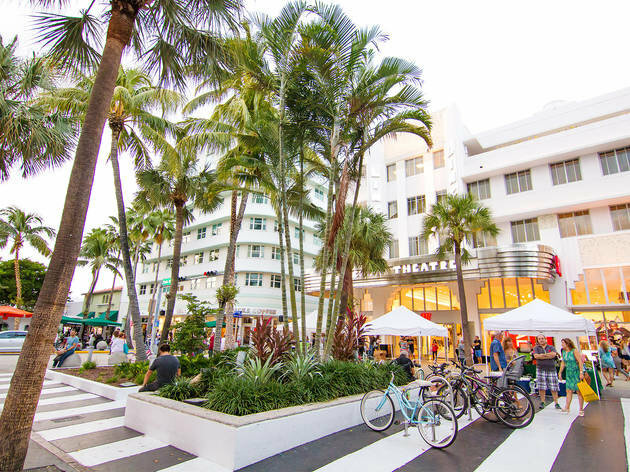 If you head over to Lincoln Road, you can walk the span of the street to check out the awesome bookstores, cool little knick-knack shops, and some trusty stores, like Urban Outfitters and Zara. Not to mention, there are countless restaurants along that strip that you have to try at some point during your trip. 7. Food, food, and more food. The food in Miami is one-of-a-kind. From Cuban to Mexican to Italian, there are endless options for everyone involved. Like Lincoln, restaurants line the streets everywhere with any type of food you can imagine. There are even some dessert places mixed in, so be sure to leave a little room in your stomach to check out the ice cream or macaroon scene. I hope you found some ideas for your trip to Miami and that this helped in any way. These are some of the spots I stopped at in my little 3-day trip, but the opportunities are endless, so be sure to keep your eyes open. Enjoy the scenery!